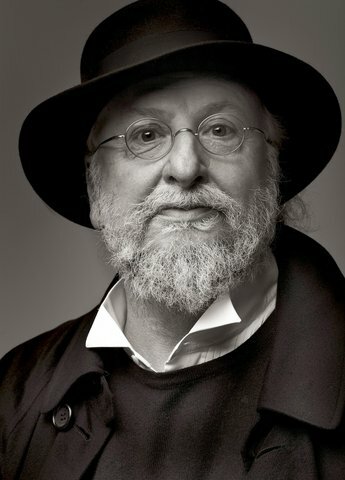 Dionysis SAVVOPOULOS is one of the most important Greek composers and musicians of the 20th century. Originally from Thessaloniki, he moved to Athens at the age of 19 in 1963 to pursue his musical ambitions, self-taught, dropping out from his law studies. 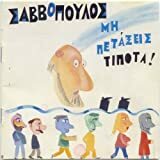 Initially appearing in small clubs in Athens and elsewhere, he releases in 1965 a couple of 45rpms through LYRA and records his first album in 1966 entitled ''Fortigo'' (Φορτηγό; Truck), which made him instantly popular. In August 1967 he was imprisoned by the military junta for his beliefs. During 1968 he also lived abroad in Paris and Milan, where he worked with DECCA. 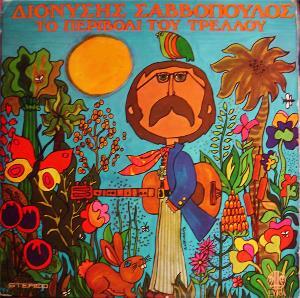 The censorship of his works continue as in 1969 he releases his second album ''To Perivoli tou Trelou'' (Το περιβόλι του τρελού; Τhe Fool's Garden), receiving wider recognition. The 70's are his most creative era. 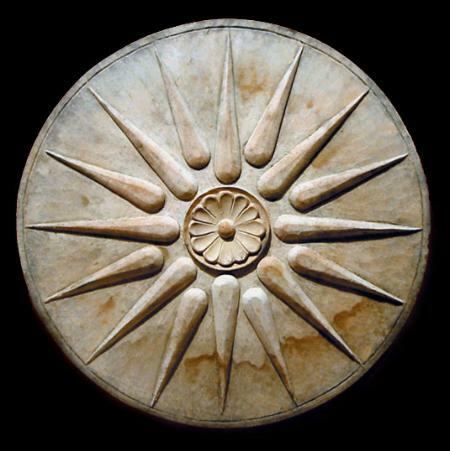 Within two years he releases ''Ballos'' (Μπάλλος, 1971) and ''Vromiko Psomi'' (Βρώμικο ψωμί; Dirty Bread, 1972), generally accepted as his most progressive releases. Big concerts across Greece follow and his first 'shadow' play on theater. 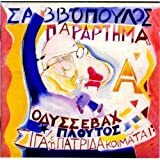 With the fall of junta comes the release of ''Deka Chronia Kommatia'' (Δέκα χρόνια κομμάτια; Ten Years' Pieces) in 1975, where he re-records earlier tracks and in 1976 he releases ''Happy Day'', an award-wining soundtrack for the eponymous film by Pantelis Voulgaris, and publishes his first books. The same year he starts a show on national television and presents live his musical play ''Acharnes'' (Αχαρνής) which is based on Aristophanes. The album with the same title will be released in 1977. In 1978 he also works as a record producer; in 1979 he released his first double album ''Ι Rezerva'' (Η Ρεζέρβα; The Spare) and in 1981 he runs his own radio show. 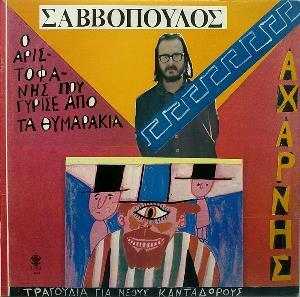 In 1983 he records ''Trapezakia Exo'' (Τραπεζάκια έξω; Tables Out) and his first live album ''20 Chronia Dromos'' (20 χρόνια δρόμος: ζωντανές ηχογρα&...Dionysis SAVVOPOULOS is one of the most important Greek composers and musicians of the 20th century. Originally from Thessaloniki, he moved to Athens at the age of 19 in 1963 to pursue his musical ambitions, self-taught, dropping out from his law studies. 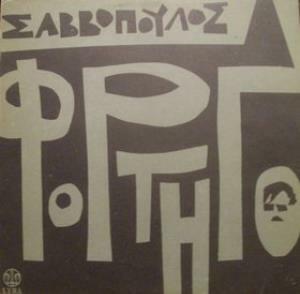 Initially appearing in small clubs in Athens and elsewhere, he releases in 1965 a couple of 45rpms through LYRA and records his first album in 1966 entitled ''Fortigo'' (Φορτηγό; Truck), which made him instantly popular. In August 1967 he was imprisoned by the military junta for his beliefs. During 1968 he also lived abroad in Paris and Milan, where he worked with DECCA. 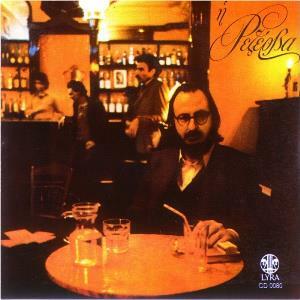 The censorship of his works continue as in 1969 he releases his second album ''To Perivoli tou Trelou'' (Το περιβόλι του τρελού; Τhe Fool's Garden), receiving wider recognition. 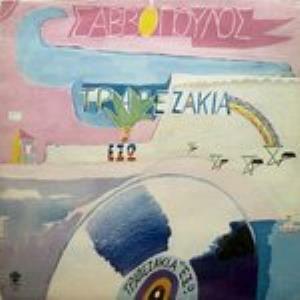 In 1983 he records ''Trapezakia Exo'' (Τραπεζάκια έξω; Tables Out) and his first live album ''20 Chronia Dromos'' (20 χρόνια δρόμος: ζωντανές ηχογραφήσεις; 20 years' Road: Live Recordings). 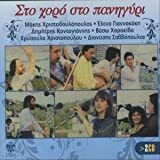 He keeps working as a record producer (two years as artistic lead in LYRA records) and play writer and in 1987 records a compilation of well-known Greek songs, following a national TV programme. 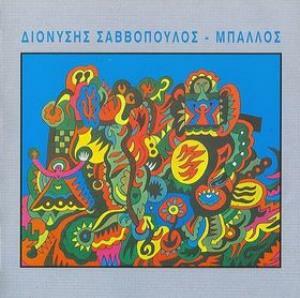 Two live albums and the LP ''To Kourema'' (Το κούρεμα; The haircut, 1989) follow between 1988 and 1990. 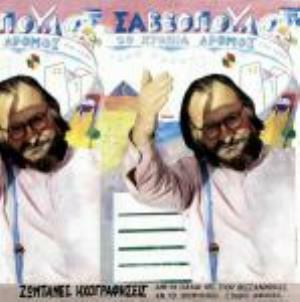 He gives big shows around the world and in 1994 releases ''Mi Petaxis Tipota'' (Μη πετάξεις τίποτα; Don't Throw Away Anything), followed by ''Parartima A'' (Παράρτημα Α'; Appendix A) in 1996, ''To Xenodochio'' (Το ξενοδοχείο; The Hotel) in 1997 and ''O Chronopios'' (Ο Xρονοποιός; The time-maker) in 1999, marking his most productive era and his last works of composition. 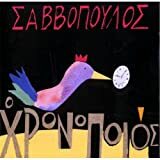 His fourth live album ''Savvorama'' (Σαββόραμα) comes in 2001 and it will be another six years for his fifth ''O Pyrinas'' (Ο πυρήνας; The Nucleus), a very interesting album with two virtuosos that celebrates his 40 years in the music business. 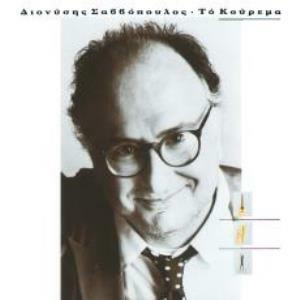 Throughout his career, SAVVOPOULOS has collaborated with the biggest names in the Greek music scene (e.g. Manos HATJIDAKIS) and has been a prominent figure of the country in radio, TV and theatre, especially through the 70s, 80s and 90s. His musical influences range from Greek folk music, 'rembetika' and 'laika', through to Balkan ethnic music, jazz, folk and progressive rock. 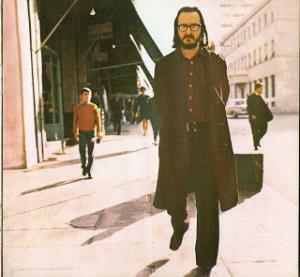 With regards to his inclusion to Progarchives, the albums ''Ballos'' and ''Vromiko Psomi'' are the most representative of his work in progressive rock, mixing psychedelic, folk and avant-prog, taking influence, among others, from Frank ZAPPA (one of his 'mentors', along with Bob DYLAN), Ian ANDERSON and CAPTAIN BEEFHEART. 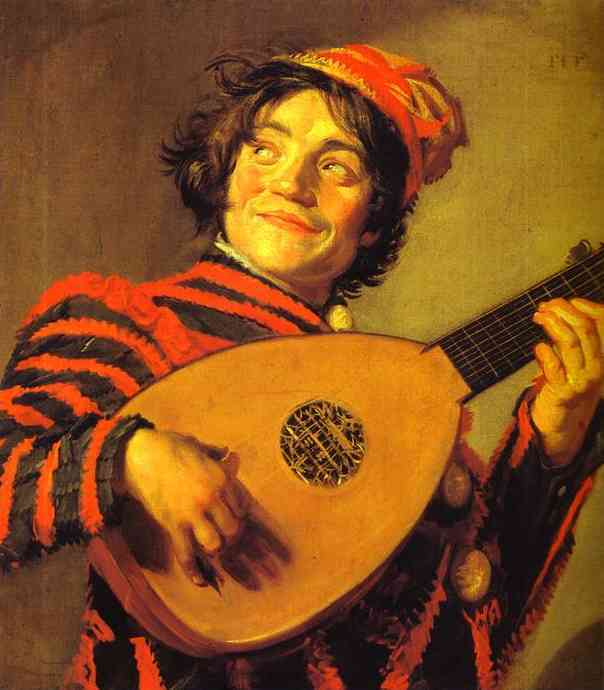 Worthy of mention is also his album ''Acharnes'', where ancient Greek comedy mixes with avant-garde and opera. Elements of progressive rock found their way in the majority of his other - predominantly folk rock - releases, although never as prominent as in the 70s. 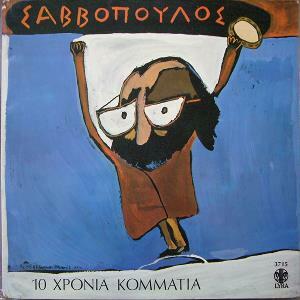 An emblimatic figure of the Greek Rock scene, growing different generations and upon different periods of the Greek history, Dionysis Savvopoulos was born in Thessaloniki in 1944 and stopped his studies at the School of Law in 1963 to become a singer/songwriter.He moved to Athens and sung in various cult pubs and bars of the Greek capital, before launching his debut ''Fortigo'' in 1966, followed by ''To perivoli tou trelu'' in 1967.It was about the same time, when he was imprisoned by the Greek dictatorship for his political and revolutionary beliefs.One of his best albums, ''Mpallos'' sees the light in 1971 on the legendary Lyra label.Among the participants of this album was also Dimitris Poulikakos. The sidelong 16-min. 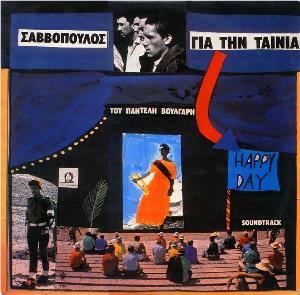 title track, which refers to an ancient dance, mainly performed on Greek islands, is one of the most obscure pieces in the Avant Folk field with definite influences from Balkan Music and Macedonian Folk, characterized by the changing use of traditional instruments and the impressive, archaic horn sections.Shifting between poetic vocal parts and folky instrumentals, this track is a good example of dark and haunting Progressive Folk with acoustic passages and strong percussions in evidence, supported by Balkan-inspired horn lines, delicate flute and sweet piano themes.A really challenging composition with sarcastic lyrics, driven by the complex breaks and its dramatic atmosphere.The second side is certainly more easy-listening, somewhere between Psychedelic Rock and Singer/Songwriter stylings, even if the Folk influences are still apparent.Moreover I can detect a slight jazzy vibe in the electric guitar parts.Savvopoulos' voice is a trademark of his releases with his hoarse and extremely lyrical color and these pieces contain alternating electric and acoustic moments with more conventional song structures, strengthened by the presence of flutes and horns. ''Dialeima'' is among the best cuts of the second side with Classical-driven flute parts and pastoral acoustic guitars in the vein of PREMIATA FORNERIA MARCONI, while the closing ''Se efcharisto o eteria!'' is a ZAPPA-esque piano/horn-driven ballad with chant-like vocal arrangements and a humoristic lyrical content. ''Mpallos'' is an excellent addition for all fans of Psychedelic Folk, Avant Prog and Experimental Rock.Enigmatic music, controlled by poetic vocals with electroacoustic craziness and lots of diverse climates.Warmly recommended in general, Greek fans will also appreciate the sinister lyrics of the album and should add a half star. The "shorts" include among others a very good cover of (surprise-surprise) Bob Dylan on its 'The Wicked Messenger' with strong political lyrics and folkish atmosphere on acoustic guitars. 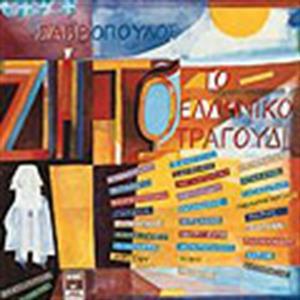 'I Dimosthenous Lexis' and 'Zeimpekiko' are two of his most well-known compositions that have survived the decades, the former a low-tempo socio-political statement with elaborate rhythm section and the latter an elongated version of the traditional Greek zeimpekiko, giving a different dimension to the Minor Asia-derived 9/8 tempo. Light-hearted and ironic moods could not be absent from this festival; 'Elsa se Fovamai' and 'Olaria Olara', the former showing some skill on sliding guitar playing under an trumpet-led party. The tribute to Zappa and Beefheart, but also progressive folk, take place on 'Tragoudi' and 'To Moro', the second including ecstatic operating female vocals on the short refrain. Similar to "Ballos", "Vromiko Psomi" is a must-have for those stretching their prog boundaries even if not all compositions appear challenging enough for the initiated listener. The early 70's finds Greece in a turmoil caused by the military junta and a number of artists try to find a way to express their feelings. Savvopoulos is one of them and with his third full album he delivers what is possibly his best effort to date, dominated by the brilliance of the title track, a revolutionary atmosphere and hidden messages behind well-worked lyrics. Although the remainder of the album does not reach the heights of the title track, RIO fans will appreciate the Captain Beefheart references especially on ''Killeler'', while the odd trip continues with the mixing of the ironic cabaret-like music, folk (a very interesting cover of Dylan's ''All Along the Watchtower'') and symphonic prog rock arrangements (the closing two tracks). Ranging from light-hearted to dark and mysterious, almost medieval, moods, ''Ballos'' keeps the listener on his toes. 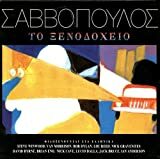 Greek lyrics can be an obstacle to appreciating this album, but if you are looking for something different from the norm, this album should be your starting point in a journey to Balkan/RIO prog!